It's summer. It's hot. The last thing any of us want to do is turn on the oven or stove and turn up the heat in our kitchens. Instead, break out that crock pot warming the back of your cupboard to make a big batch of traditional jambalaya...with a few healthy twists, of course! This recipe is pretty great for a few reasons! Jambalaya is a delicious, super flavorful, traditional dish of The South, usually made with white rice, shrimp, chicken and pork andouille sausage (which is pretty darn high in fat). Keep reading to discover the nutrition upgrades this recipe got! 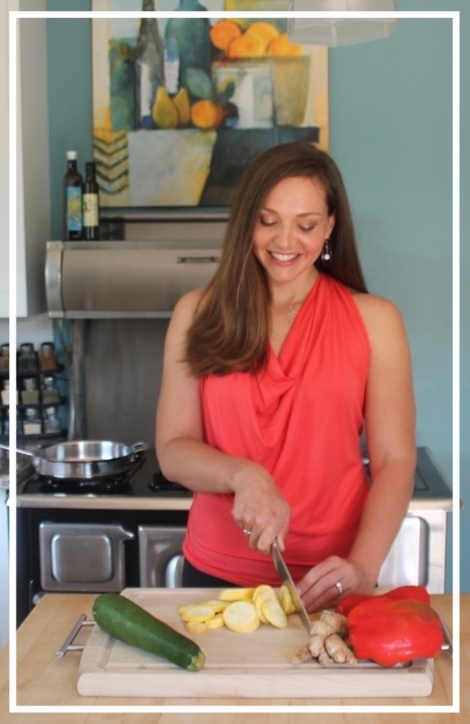 This is also the first recipe I'm submitting to the Recipe Redux - a community of Registered Dietitians that puts on monthly recipe challenges to make delicious dishes healthier as well! Keep an eye out for monthly recipes for these challenges going forward! This month's challenge is to keep the kitchen cool while cooking by using a slow cooker, instant pot, pressure cooker. Challenge accepted! The first nutrition upgrade I made was using quinoa in place of white rice. This changes the texture of the dish a bit as you have the small quinoa grains instead of the long rice grains, but you really don't notice a change in the flavor. This simple swap really amps up the protein and fiber content of the dish. Did you know quinoa is one of the few plant-based complete proteins (complete meaning it contains all of the essential amino acids)!? It also offers 5 grams of fiber per serving compared to less than 1 gram of fiber white rice provides. This is an easy win in the ingredient swap department. Second, in place of the typical pork andouille sausage, I used a lean chicken andouille sausage. I picked these up at my local Trader Joe's, but many supermarkets carry very similar products. This swap significantly lowers the saturated fat and calorie content, making this a wonderfully healthy, anytime meal, instead of an occasional indulgence. With that, let's get on to the easy-to-make, summertime friendly, crock pot recipe! Try this out the next time you have a crowd for dinner or need a big batch recipe to have leftovers for lunch all week! 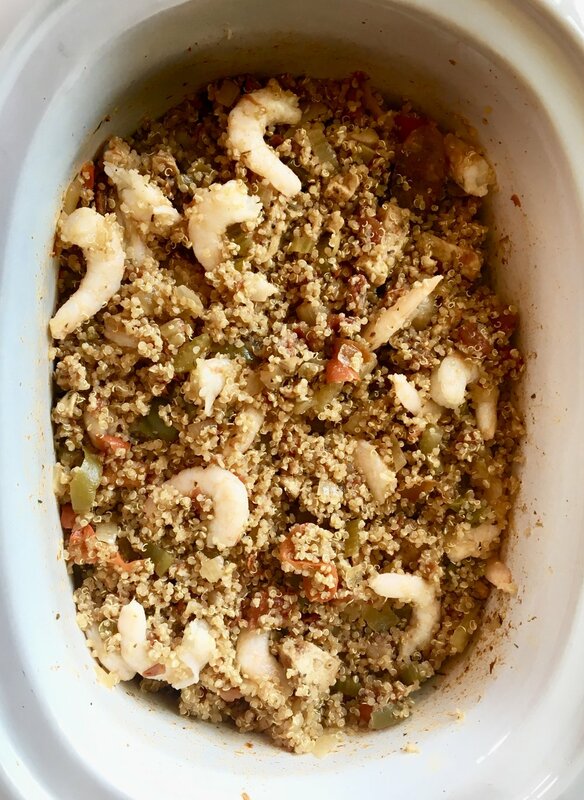 Place all ingredients except shrimp and quinoa in slow cooker. If making your own creole seasoning, combine all spices and use amount required (4 Tbsp) in your recipe. Stir all ingredients to incorporate into mixture. Cook on high for 4 hours. At the end of 4 hours, add shrimp and quinoa to the crockpot and stir to combine. Let mixture continue cooking for an additional 20-30 minutes or until shrimp is warmed through and quinoa is tender. Sprinkle green onions on top for garnish and enjoy! What are some of your favorite Summer crock pot, instant pot or pressure cooker recipes?